Eastemnet Master with the Tailor Crafting Guild. Rank 0 (35) in the Ettenmoors, with 0 Killing Blows. Rod is a typical Hobbit, being a bit round in the middle and very fond of his vittles. 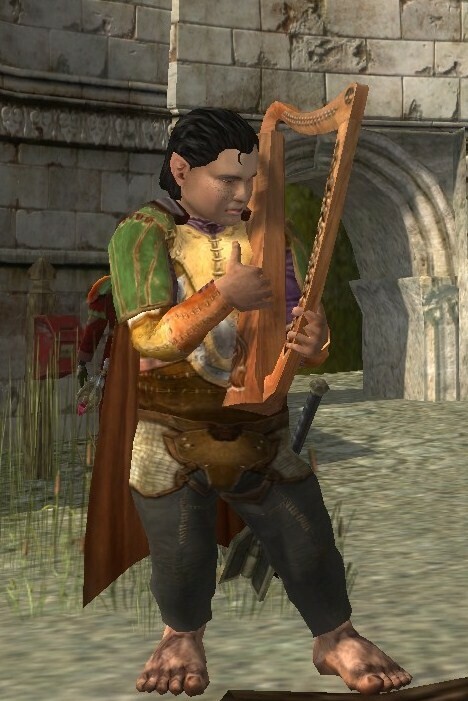 A bit of song, a bit of pipeweed, and six square meals a day, and he's a happy Hobbit. Accident prone and a bit naive, Rod still recognizes the troubled times and tries to help in the limited, and often ill-conceived, methods that occur to him. He has a generous helping of Hobbit curiosity and mischief to him that all too often seems to get him into (mostly) minor, if hilarious, misadventures.